Dogs Bite Decatur Al: MOORPARK CA - SHAYLA WAS SHOT BY HER FIRST OWNER AND COULD NOT WALK...SHE WAS RESCUED, TREATED AND WAS BEING FOSTERED AND LEARNING TO WALK AGAIN...WHEN HER FOSTER TOOK HER WALKING AND A PIT BULL CHARGED OUT OF A GARAGE AND NOW SHE HAS BROKEN RIBS, COLLAPSED LUNG AND A DAMAGED SPINAL CORD!!! MOORPARK CA - SHAYLA WAS SHOT BY HER FIRST OWNER AND COULD NOT WALK...SHE WAS RESCUED, TREATED AND WAS BEING FOSTERED AND LEARNING TO WALK AGAIN...WHEN HER FOSTER TOOK HER WALKING AND A PIT BULL CHARGED OUT OF A GARAGE AND NOW SHE HAS BROKEN RIBS, COLLAPSED LUNG AND A DAMAGED SPINAL CORD!!! Shayla, a 9-pound terrier mix, is recuperating in a Thousand Oaks veterinary hospital after being attacked by a PIT BULL TERRIER MIX in Moorpark and being shot by her previous owner in Riverside. The attack occurred Tuesday morning as Shayla’s foster owner, Mary Emerick, was walking Shayla on a leash down a residential street in the Peach Hill Park neighborhood. The pit bull charged out of a driveway and went straight for Shayla, said Emerick, who was not injured in the two- to three-minute attack. The incident is the latest ordeal 3-year-old Shayla has endured. Shayla and five other dogs were shot by their owner in June in Riverside, said Kim Sill, who runs a Thousand Oaks dog rescue organization that took in the four “worst off” of the canines. A Los Angeles rescue group took the fifth, and the sixth did not survive, she said. Shayla was shot in the hips and could not walk. Shayla and three others — Papi, Tito and Sinbad — were recovering from the shootings after being treated by a Thousand Oaks veterinarian, said Sill, owner of Shelter Hope Pet Shop. Emerick had been fostering Shayla for two months as the dog gradually gained strength in her hind legs through a daily walking regimen of four to five miles. At first, Shayla would spend part of the walk in a dog stroller. The two were in the middle of their walk about 9 a.m. Tuesday when the pit bull mix stormed out of a garage across the street, she said. She heard a woman yelling from the garage for the dog to stop. Another dog, which appeared to be a LABRADOR RETRIEVER, also emerged from the garage and joined the fracas, she said. A street sweeper who was passing by stopped his truck and ran toward the dogs with a pipe, although he never used it, Emerick said. When it was over, Shayla had four broken ribs, a collapsed lung and a damaged spinal cord. Shayla lay bloodied and motionless on the sidewalk. “I thought my dog was dead,” Emerick said. The owner of the pit bull, whose name was unavailable, volunteered to drive Emerick and Shayla to an emergency veterinary hospital. Emerick said she filed a report with Ventura County Animal Services. Phone calls to the agency Wednesday and Thursday by The Star were not returned. 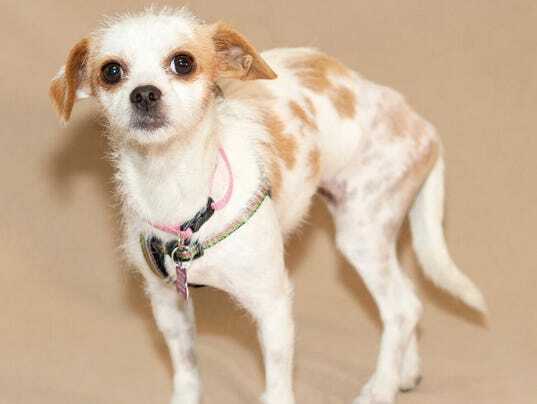 The terrier mix underwent two surgeries by the veterinarian, Dr. Christopher Frier, who is watching Shayla around the clock, even taking her home with him at night. He said the dog eventually will heal from the wounds, but he does not know whether Shayla will walk again." This dog has had so much bad luck, but then again, she's a fighter," Frier said Thursday. Pit bulls are dog aggressive. Pit bulls do not belong in neighborhoods where there are other dogs. Pit bulls do not belong in neighborhoods, PERIOD! Poor little dog!! I hate pit bulls!!! Ugh.